Consider soup. There is something so innately comforting about the word itself, the thought of “soup” conjures up images of hominess, satisfaction, warmth, earthiness, mom. Soup is usually something that’s made by moms loving hands for her children – to remedy the cold, or to welcome them home on a cold day. One of my dear friends claims that if her son has a bowl of soup during the day – she’s satisfied with his nutrition for the day. I don’t think I posted a single soup this year, however that doesn’t mean I haven’t cooked it. Soup is a staple in my house, just like my friend, my mom and my grandma I make soup at least once a week for my family. 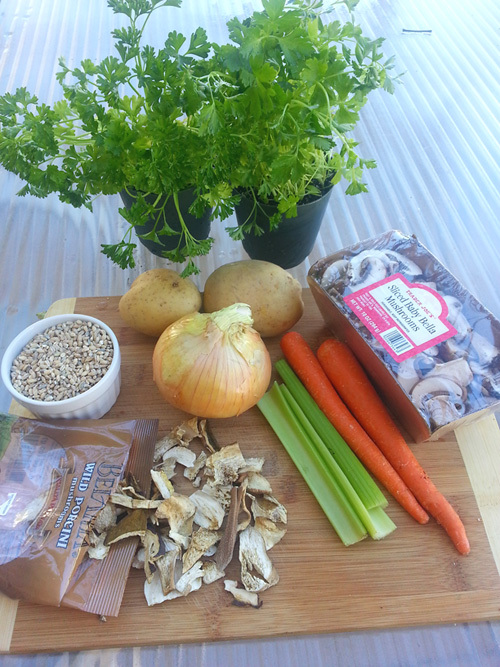 Allow me to start the first soup post this year with one of my personal favorites Mushroom Barley Soup. Mushroom season has started, and I know people are foraging the forests for wonderful wild mushrooms. 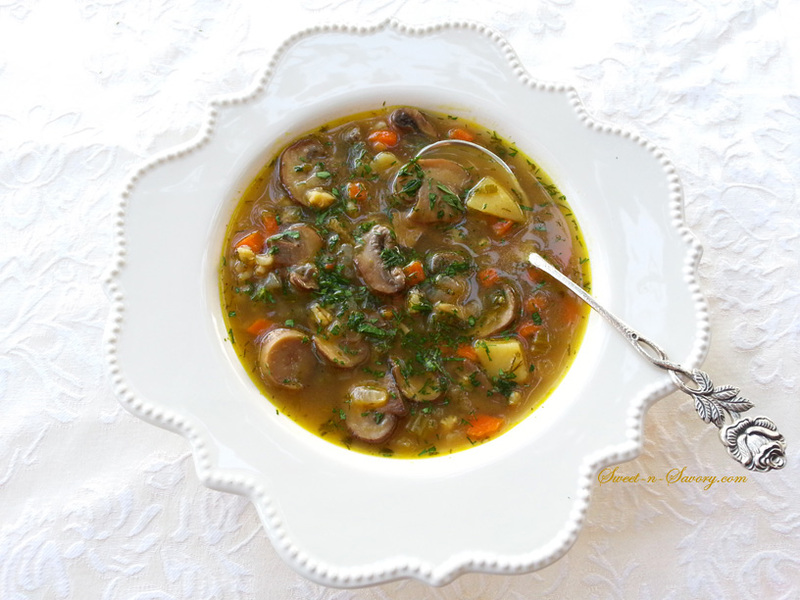 If I can get my hands on fresh or frozen wild mushrooms, I will usually use those entirely for this soup. If I can’t – I substitute. I use dry porcini mushrooms or other wild mushrooms(except shitake) in combination with crimini (baby portabella) or white button mushrooms. Dry mushrooms add an intense flavor that’s hard to capture with crimini or button mushrooms alone, while the cultured mushrooms add texture. I use butter to saute the vegetables first. Don’t be afraid to use butter in this recipe, I think it’s an essential ingredient. Mushrooms really give off their flavor via the butter. Rinse the dried mushrooms, place them into a bowl and cover with boiling water. Place a lid or a plate over the bowl to let the mushrooms seep. 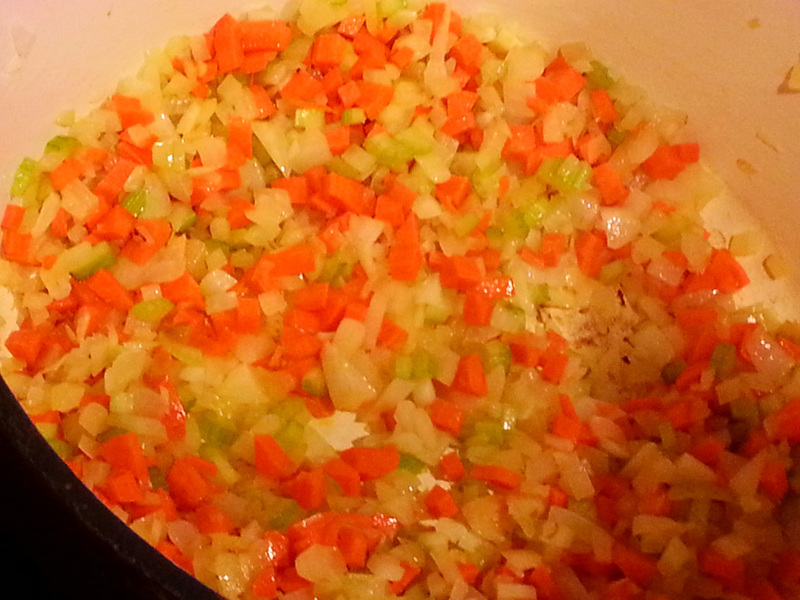 In a heavy bottomed pot or dutch oven, melt the butter and add diced onions, carrots and celery. Saute until the vegetables are soft and onions are translucent. Add baby bellas to the vegetables and saute for about 5 minutes. Cube the potatoes, add potatoes to the pot and saute for about a minute to soak up the flavors. 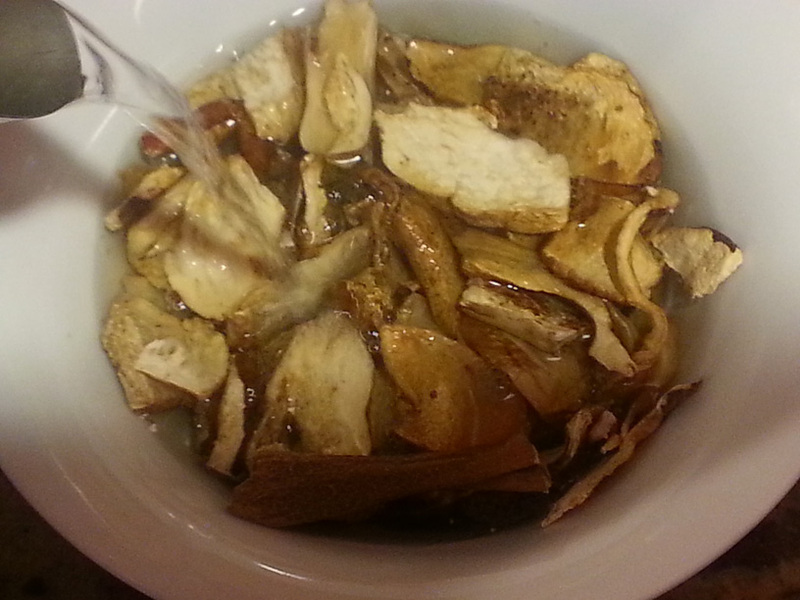 Strain dried mushrooms through a coffee filter and finely chop them.Reserve the liquid they were steeped in. 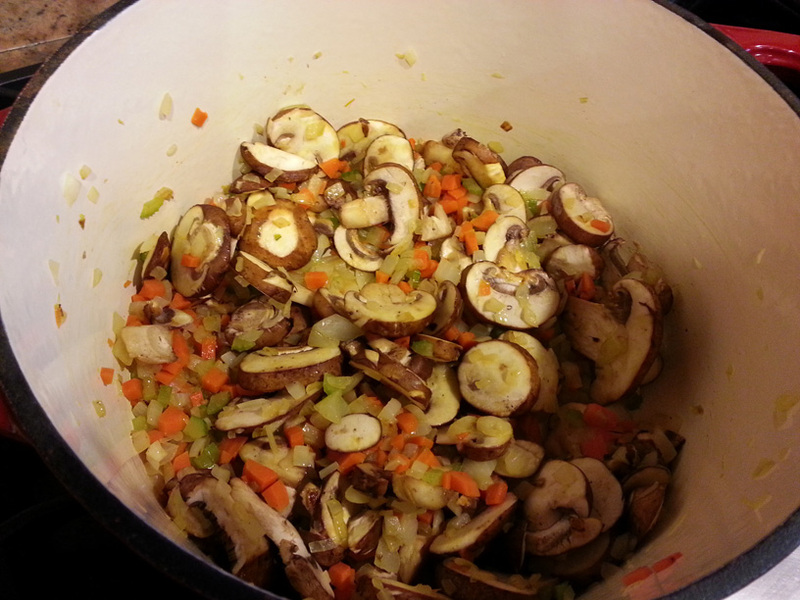 Add the dried mushrooms and the liquid they were seeped in into the pot. 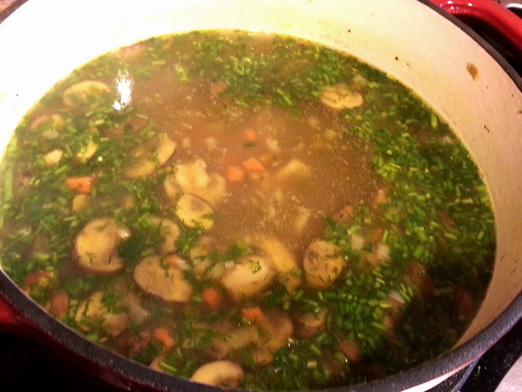 Rinse the barley, add to the pot and add the vegetable stock or water. Add bay leaf and salt and pepper to taste. Let soup come to a boil, then cover the pot and reduce heat to a simmer. Cook until the barley and potatoes are tender about 40 minutes. Chop parsley and dill. Turn the heat off and add herbs to the pot. Cover and let stand for 15 minutes before serving. A nice crusty rye bread is a great accompaniment.